Pall bearers and friends of Kevin gather outside the church. 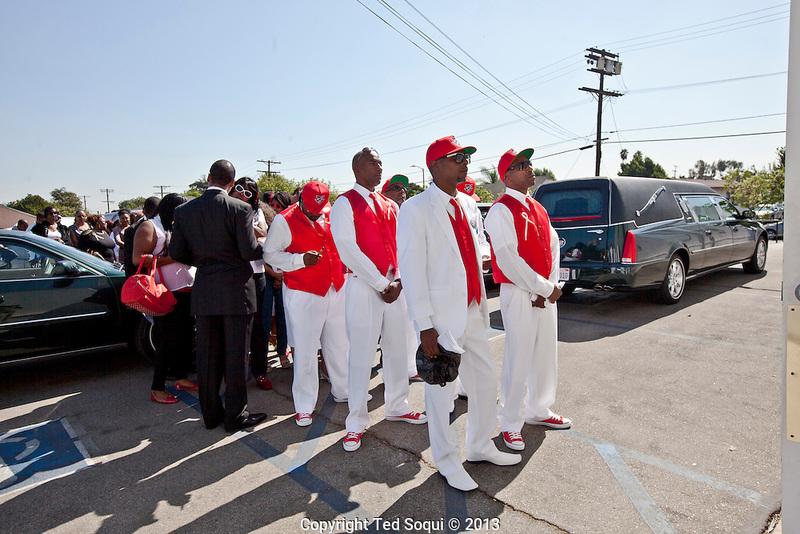 Funeral services for Kevin "Flipside" White at Macedonia Church in Watts. White was shot dead in what is believed to be an unprovoked attack during a gang conflict at Watts' Nickerson Gardens and Jordan Downs housing projects. Flipside, 44, was a founding member of Watts' first major label hip hop act, O.F.T.B. (Operation From The Bottom).